Lee was supposed to perform us a few acoustic songs, but was having trouble with his vocal chords and needed to rest them before his performance later in the evening. Which ended up being a great excuse for him to let us listen to some demo’s of new unreleased songs! My absolute favorite was ‘Til Summer’s Gone which is actually a track off a mix-tape that he let those in attendance at his fan club party during CMA Fest hear. I’m ALL about those songs about a summer romance! Lee told us stories about his first love, whom he wrote More Than Memory about, and how the one and only time that he has seen her since their breakup was when she was in the audience at one of his shows and how much that affected him. He gave us insight on his songwriting and choosing songs that he didn’t write, like I Drive Your Truck, but he decided to cut because of how deeply the lyrics resonated with him. 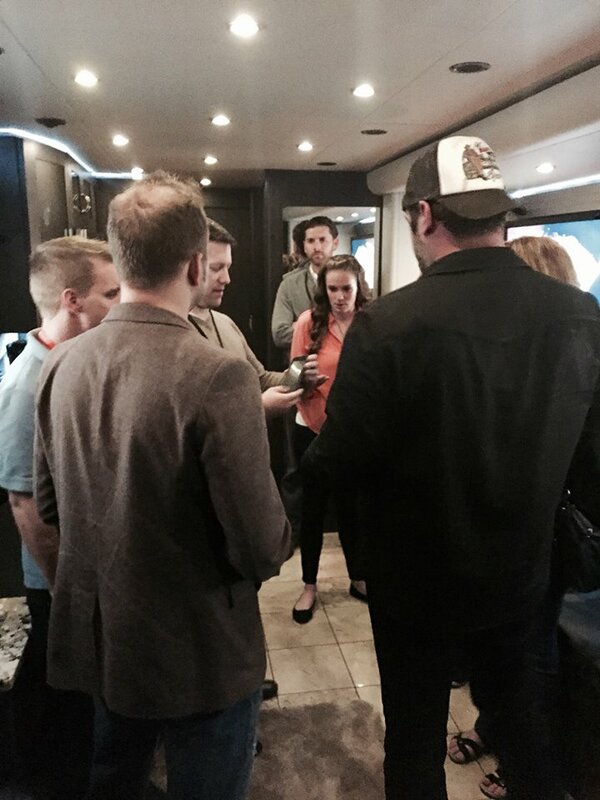 Nick The Intern, from WPOR’s Morning Crew, noticed that Lee happened to have a GIANT bottle of Jack Daniels on his bus and requested to do a shot of it with him! Lee told us a story about how he got the bottle while on his first cruise and smuggled it back to the US in his luggage. He’s been refilling it since then! 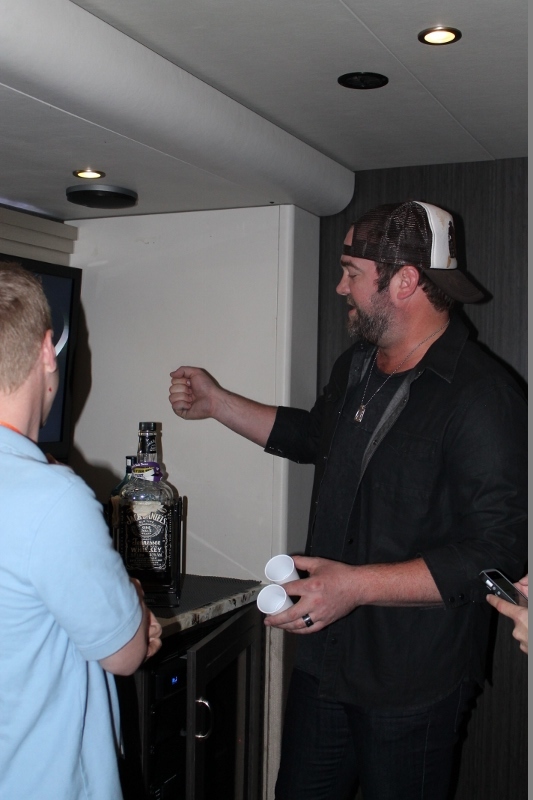 He poured himself and Nick a shot of JD and then told the rest of us that he wanted to make something special for the rest of us. 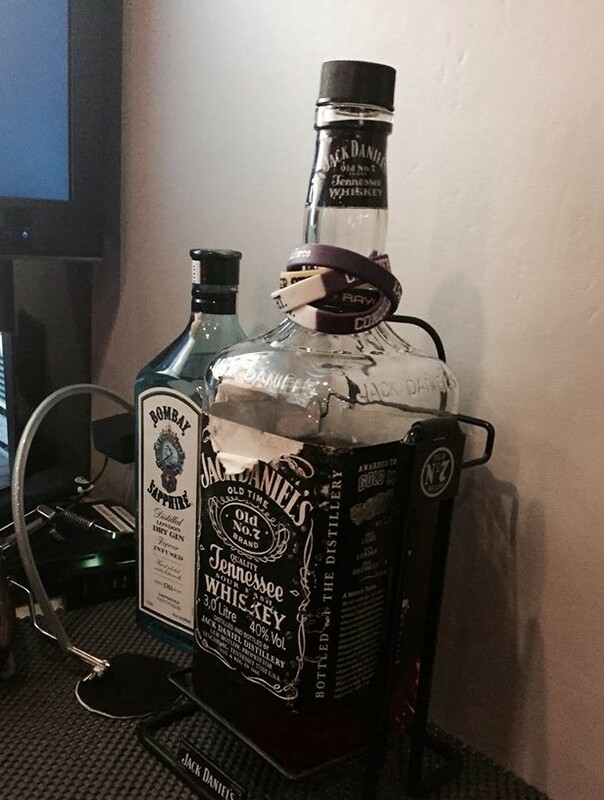 2 shots of JD coming right up! 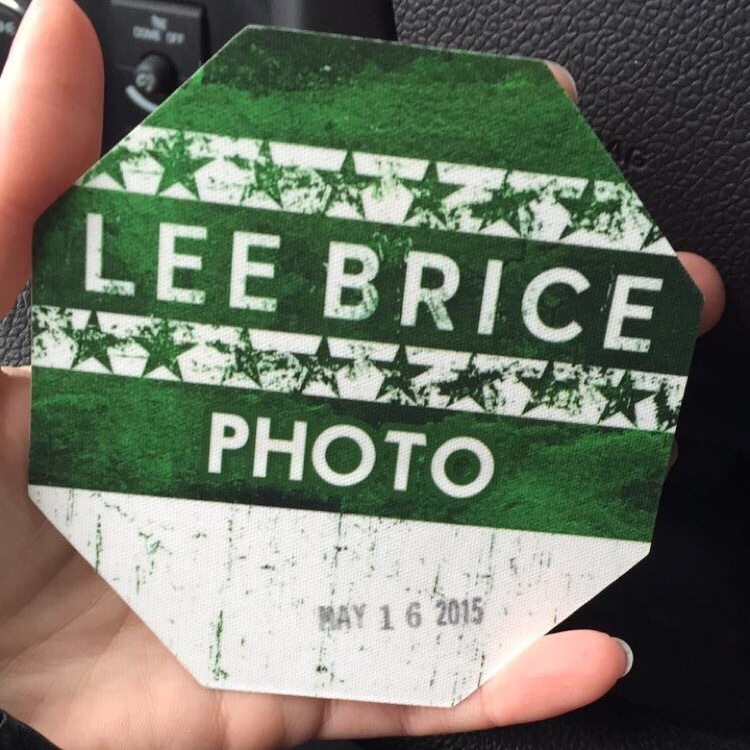 This “something special” was created by Luke Bryan, and Luke made it for Lee when he suggested they tour together. Lee referred to it almost like a “diet” shot, and joked about that’s how Luke keeps up his figure. It was a mixture of a diet raspberry lemonade and some vodka. 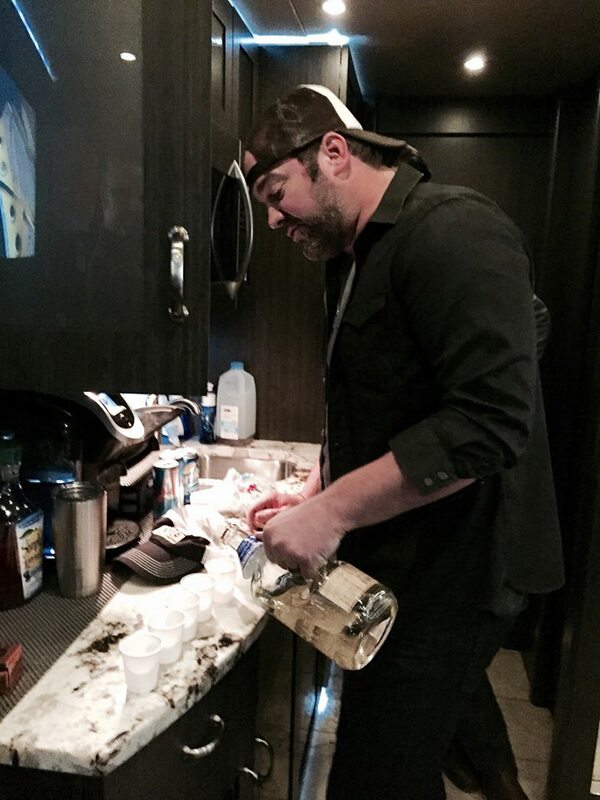 So not only did I get to hang out on Lee Brice’s tour bus… but I also got to take a shot with him! Lee is one of the most down to Earth and laid back artists that I have ever met. He’s such a “chill” guy and this is what I loved most about this entire experience. He welcomed us into his “home”, told us stories, talked about life, was very hospitable, let us listen to some new tunes, and this is definitely something that I will never forget. It was the day that I realized all of the incredible opportunities that were going to continue to come my way with this dream job! I am so unbelievably thankful to WPOR and Portland Radio Group for welcoming me into the radio industry and offering me a position with their Street Team. DREAMS DO COME TRUE, GUYS! 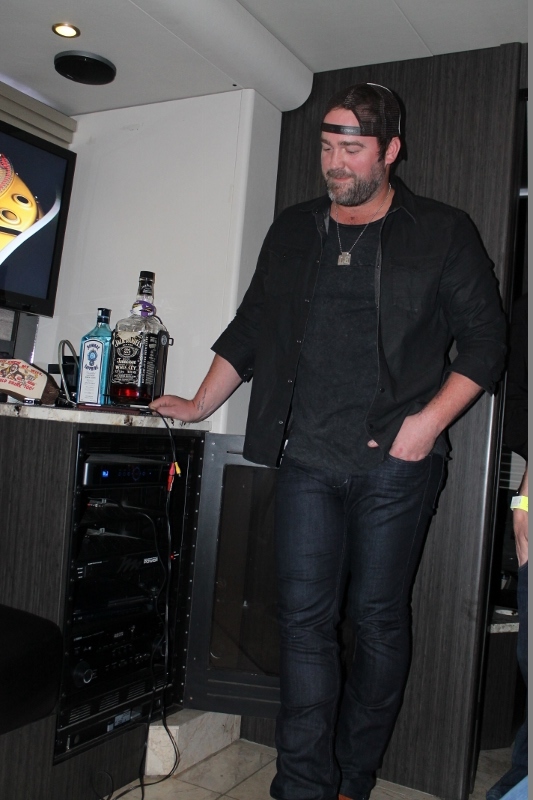 To see the photos that I took from the show, visit Lee Brice on the Maine State Pier! 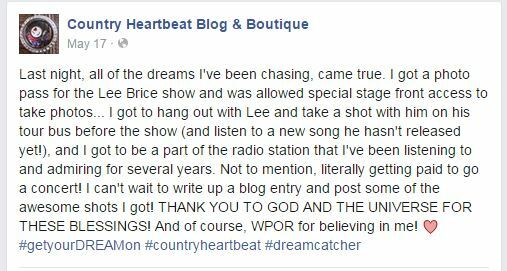 Facebook post the following day… are you a fan of Country Heartbeat online? Have you “liked” our page Country Heartbeat Blog & Boutique on Facebook? I usually update on there more than I do the blog, so for the latest news and events… check it out! I met you in the Community Pool. You said you wanted more visitors. 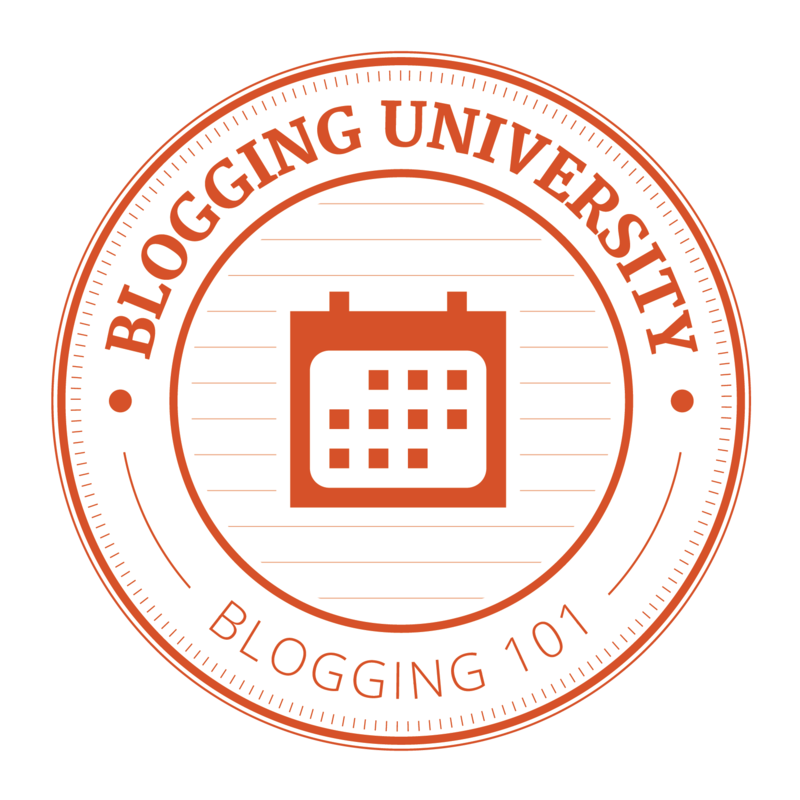 I offer blogging suggestions on my blog. Tips for engaging readers, improving content, and increasing traffic are there. I am trying to increase my following, so check out my blog by clicking my name. There is even a free incentive for signing up.